Hawley’s Jewelry is one of the first stops you should make if you’re looking for wedding rings in El Paso. They have been serving the community for over 25 years and have grown so much that they now have two locations right in town. The combination of friendly service and selection of silver and diamond engagement rings make this store a top choice for couples and men planning to propose. They also offer jewelry repairs so if anything unexpected happens to the ring, it will be serviced immediately. Everyone is familiar with Kay Jewelers, and for good reason. 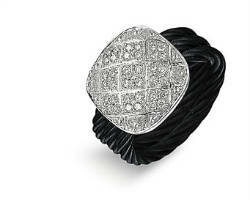 This jewelry superstore not only has the biggest selection of jewelry, but they offer these jewels at affordable prices. 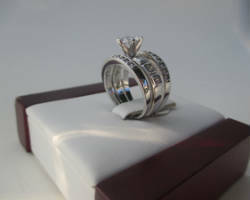 The engagement rings they have for women number in the hundreds and so do the wedding bands they have for men. 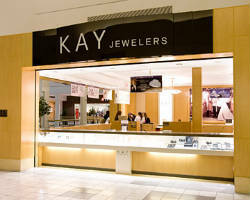 If you’re looking to deal with professionals who know the industry and the jewelry, Kay’s is the obvious option. Present her with a glimmering ring she is guaranteed to love. Costco might not be a tradition choice for buying jewelry, but it is the most affordable price for such high quality. Choose a price range you’re comfortable with and the kind of jewelry you’re looking for and the professionals behind the counter will present you with your options. 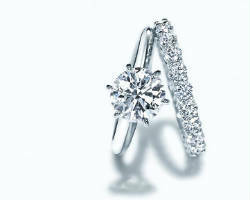 If price isn’t your concern, the selection of diamonds this store offers is huge. With different degrees of clarity, size of the stones, and metal used to make the ring, your options are endless. Tiffany & Co is an institution in the jewelry world. They are known for carrying some of the world’s highest quality and the most unique diamond rings. Shopping at Tiffany’s means choosing a brand that has represented eternal love for thousands of couples. The clarity of the rings they offer as well as the brilliance of their shine means that only the most beautiful diamonds are displayed. Every woman would love a ring from Tiffany & Co, make both of your dreams come true by shopping for an engagement ring there today. 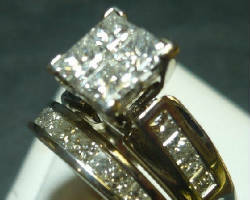 The Jewelry Workshop is not simply a jewelry store, but a full service workshop, designer, and repair service. They offer custom designs as well as jewelry engraving so you can be sure that your ring represents you as a couple forever. 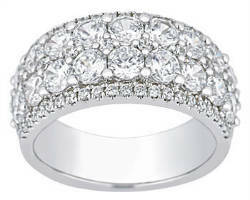 They also adjust and repair rings meaning they will be there to service your jewelry for the entirety of its life. Looking in El Paso for engagement rings has never been more enjoyable than here where the experts are available at all times to help. Sheldon Jewelry Company is known for their customer service. They treat each and every client who walks through their doors with personal care, which turns each client into a loyal customer for life. This jewelers is locally owned and operated which means buying your jewelry here does not only mean you have made the best choice but you are also supporting your community. They have classic and modern style rings to choose from so you can match the ring to the personality of your bride to be. C.D. Clark & Co is a gold buyers and jewelry store. This means that when you have unwanted or broken jewelry, they will buy it from you and use it to create something brilliant and new. If you’re looking to buy rings, they also have a full range of jewelry for you to look through. They understand the importance of buying and selling jewelry, each complementing the other, which makes them the experts in both. 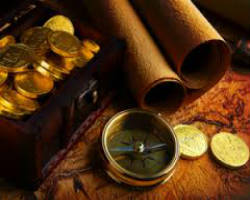 This is the premier gold buyers and sellers in Texas and should not be missed.